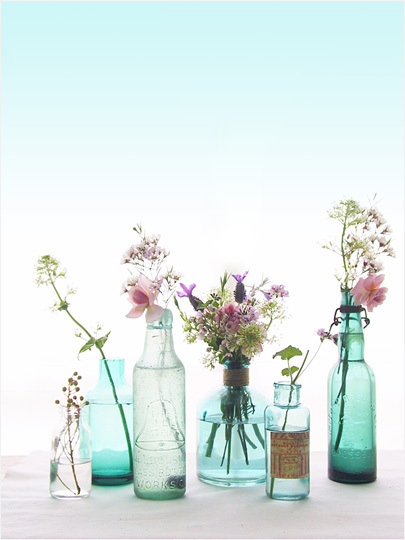 Wow, just so fantastic what you can do with some simple vases of glass or old bottles. 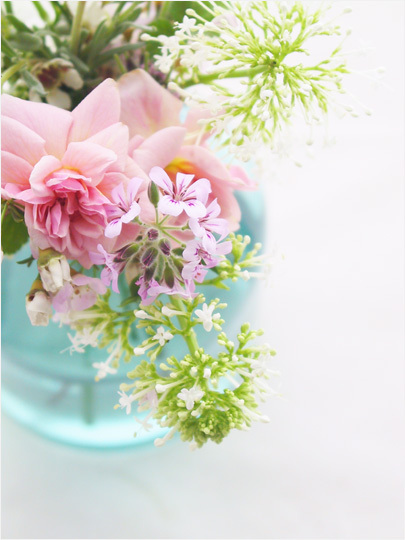 The green and blue colored vases give just a pure and bright atmosphere in combination with the flowers. 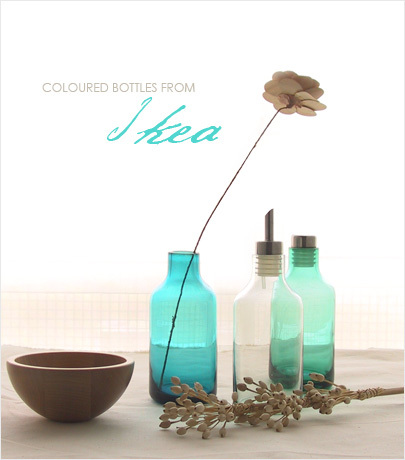 Very easy to create this atmosphere at home and also lovely for example at a wedding at the dining table. One day in Copenhagen, absolutely love this city!